My favourite example of what I’ve been calling the ‘scandal of self-understanding’ is the remarkable—even gobsmacking—fact that we can explain the origins of the universe itself while remaining utterly unable to explain this explanation. You could say the great, grand blindspot in physics is physics itself. Imagine raising a gothic cathedral absent anything but the murkiest consciousness of hands! What’s more, imagine thinking this incapacity entirely natural, to raise rooves, not only blind to lifting, but blind to this blindness as well. Small wonder so many think knowledge an irreducible miracle. This blindness to cognitive means reveals a quite odd condition on progress in physics: that it need not understand itself to understand nature. So far, that is. Certainly, this fact is one worth consideration in its own right. Since heuristic neglect leverages a general, thoroughly naturalistic theory of cognition, its relevance should apply to all of our cognitive endeavours, including the very hinge of Pandora’s Box, physics. Since I have no skin in any academic game, I need not allow ingroup expectations pin my commitments to any institutional blind alley. I’m free to take original assumptions to problems invulnerable to existing assumptions. And even though I lack the technical expertise to make the least dent in the science, I can perhaps suggest novel points of departure for those who do. Physics is far from alone in suffering this second-order blindness. Biologically speaking, almost all problems are solved absent access to the conditions of problem-solving. Motor cortices ‘know’ as much about themselves as the fingers they control. Cognition is almost always utterly oblivious to the contemporaneous act of cognizing. Call this trivial fact medial neglect: the congenital insensitivity of cognition to contemporaneous cognizing. A number of dramatic consequences fall out of this empirical platitude. How does human cognition overcome medial neglect? Our brains are, as a matter of fact, utterly insensitive to their own biological constitution. They cannot immediately cognize themselves for what they are. So then how do they cognize their own cognitive capacities? Obviously, otherwise. In ways that are useful rather than true. In ways that circumvent medial neglect. Heuristically. Given medial neglect, it simply follows that we must cognize problematic systems assuming what might be called meta-irrelevance, that no substantial knowledge of our knowing is required to leverage knowing. For instance, this present act of communication on my part requires that countless facts obtain, not the least of which is a tremendous amount of biological and historical similarity, that you and I share roughly the same physiology and educational background. If I were suffering psychosis, or you were raised by wolves, then this communicative exchange could only happen if we could somehow repair these discrepancies. Absent such second-order capacity, our communication depends on the absence of such second-order problems, and therefore on the irrelevance of second-order knowledge to achieve whatever it is we want to achieve. Medial neglect entails meta-irrelevance, the capacity to solve problems absent the capacity to solve for that capacity. We can distinguish between the meta-irrelevance of our frame, the absence of defeating circumstances, and the meta-irrelevance of our constitution, the absence of cognitive incapacities. One of the fascinating things about this distinction is the way the two great theoretical edifices of physics, general relativity and the standard model of particle physics, required overcoming each form of meta-irrelevance. With general relativity, Einstein had to overcome a form of frame neglect to see space and time as part and parcel of the machinery of the universe. With quantum mechanics, Bohr and others had to overcome a form of constitutive neglect and invent a new rationality. When cognizing the universe on the greatest scales, your frame of reference makes a tremendous difference to what you see. When cognizing reality at infinitesimal scales, your cognitive biology makes a tremendous difference to what you see. In each case, you cannot understand the fundamentals short understanding yourself as part of the system cognized. Our cognitive biology, in other words, is only irrelevant to cognitive determinations in classical (ancestral) problem ecologies. This explains why general relativity was more ‘insight’ driven, while the standard model was much more experimentally driven. General relativity, which belongs to classical mechanics, only strains meta-irrelevance (forces us to consider our cognitive capacities) at its extremes. Quantum mechanics snaps it from the outset. Resolving meta-irrelevance required conceding both methodology and intuition before physicists could report, with numerous provisos, the ‘quantum world.’ Understanding which classical questions can and cannot be asked of quantum mechanics amounts to charting the extent of meta-irrelevance, the degree to which our cognitive biology (in addition to our cognitive history) can be neglected. The limits of classical interrogation are the limits of our cognitive biology vis a vis the microscopic, the point where many (but not all) of our physical intuitions trip into crash space. The notorious debate between Einstein and Bohr regarding whether quantum mechanics is complete and so reveals an exceptional (classically inconsistent) nature, or incomplete, and so reveals the existence of hidden variables, bears some striking similarities to debates regarding the nature of experience and cognition. If quantum mechanics is complete, as Bohr maintained, then our basic cognitive biology is relevant to our understanding of the microscopic. If quantum mechanics is incomplete, as Einstein maintained, then our basic cognitive biology is irrelevant to our understanding of the microscopic—the problem lies in our cognitive history, which is to say, the kinds of theories we bring to bear. The central issue, in other words, is the same issue structuring debates regarding the nature of knowledge and experience: whether the apparently exceptional nature of the quantum, like the exceptional nature of experience and cognition, isn’t an artifact of any incapacity on our part. The primary question, in other words, is whether our position or constitution is relevant to understanding the conundrums posed, on the one hand, by quantum mechanics, and on the other hand, by knowledge and experience. On the view sketched here, the fundamental divide between general relativity and quantum mechanics lies in the latter’s cognitive biological relevance. This suggests that quantum mechanics, if not the more fundamental theory, functions in a problem-ecology where general relativity simply has no application. Most physicists see quantum mechanics as more fundamental but their arguments tend to be formal and ontological as opposed to ecological. As we saw above, the independence heuristic, the presumption of meta-irrelevance, is the default, core to all our cognitive orientations—and this is as true of physicists as it is of anyone. Physicists understand the debate, in other words, with a tendency to overlook the relevance of their cognitive biology, and so presume the gap between general relativity and quantum mechanics is merely mathematical or conceptual. The failure of biological irrelevance, however, exposes the physical dimensions of the problem, how the issue lies in the constitution of human cognition. 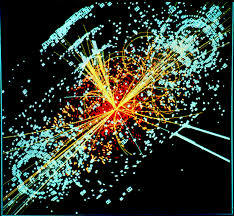 Theoretical physics has always understood that humans are physical systems, entropic conduits, like all things living. But appreciating the fact of cognitive biology is one thing and appreciating the activity of cognitive biology is quite another. When we sweep away all the second-order clutter, quantum mechanics is something us organisms do, a behavioural product of the very nature quantum mechanics reveals. Our cognitive nature, the ancestral defaults geared to optimize ancestral circumstances, systematically confounds our attempts to cognize nature. Quantum mechanics shows we are natural in such a way as to stymy our attempts to understand nature, short theoretical gerrymandering via robust experimental feedback. This raises the spectre that human cognition is constitutionally incapable of unifying general relativity and quantum mechanics. It could be the case that a nonclassical macroscopic theory could supplant general relativity and subsume quantum mechanics, but short the kinds of experimental data available to the pioneers of quantum mechanics, we simply have no way of isolating the questions that apply from the questions that don’t, and so sorting signal from noise. The truth could be ‘out there,’ lying somewhere beyond our biological capacities, occupying a space that only our machines can hope to fathom. If the quantum theorization of gravity fails, and it becomes clear that quantum mechanics is only heuristically applicable to classical contexts, then the cognitive biological position outlined here suggests we might have to become something other than what we are to fathom the universe as a whole. Re-engineering neural configurations via learning alone (theory formation) may no longer be enough. The failure of cognitive biological relevance in quantum mechanics underscores what might be called the problem of diminishing applicability, how the further our constitution is pushed from our ancestral, ecological sweet spots, the systems we evolved to take for granted, the less we can presume meta-irrelevance, the more we should expect our cognitive biological inheritance to require remediation, lest it crash. Hey, Scott. Great post as always. Firstly I want to apologize in advance for this long response. But I wish the issues that come up from this topic could help to elaborate on more general issues that I’d appreciate you could discuss. Just feel free to answer only to what you might find worth answering (if there’s any). As a disclaimer, I recognize being in the side of those physicists that cannot help but reduce this problem to a strictly physico-mathematical one (though I’m not a physicist in the least). But isn’t this where the alternative actually lies? To be clear: I’m not sure wether taking the hypothesis of the completeness of quantum mechanics for granted is enough to claim the reducibility of the physical debate to a biologico-heuristical one. I’m aware you’re probably not for a complete reduction of the problem; nevertheless, it’s plainly obvious that if that reduction is denied, then a certain specificity of the physical frame needs to be granted (this is where I stand). Now, I’m not claiming that this implies meta-cognition – if only, I cannot agree more with the idea that “this blindness to cognitive means reveals a quite odd condition on progress in physics: that it need not understand itself to understand nature”. As you say, this is precisely what makes physics (with the help of mathematics) the Pandora Box of the scandal of self-understanding. However, when you look at the difference between relativistic physics and quantum mechanics, you claim that “General relativity, which belongs to classical mechanics, only strains meta-irrelevance (forces us to consider our cognitive capacities) at its extremes. Quantum mechanics snaps it from the outset. Resolving meta-irrelevance required conceding both methodology and intuition before physicists could report, with numerous provisos, the ‘quantum world.’”. And while this idea of the elimination of the meta-irrelevance of our frame and of our constitution is highly illuminating, you draw from this that general relativity does not defy our rationality. This seems to derive from the radical distinction between both categories (meta-irrelevance of frame and of constitution). But I’m not sure if this can be done so sharply. Why would the elimination, or rather overcoming, of the meta-irrelevance of our frame not force us to challenge our constitutional meta-irrelevance? Isn’t the dependence on the frame of cognition one of the fundamental conditions of our heuristic mechanisms – we only develop solutions for problems contained within our ecological scope? I’m coming from the idea that quantum mechanics is not a set of empirical data that can easily be rendered analogous to the scandal of self-undertsanding. The specificity of the physical problem already puts in place a cognitive frame that defies this possibility and pre-establishes the conditions under which the problem of its completeness (which, if I’m not getting it wrong, you depart from as a hypothesis) can be decided. And this frame has a lot in common with the relativistic standpoint insofar as it requires the cognitive priority of the physico-mathematical domain, which determines a specific solvability (more or less) indifferent to the heuristic approach. Quantum mechanics requires from the very beginning a whole set of theoretical criteria and constructs that need to be admitted even to claim its completeness. The debate over the epistemic status of quantum physics is not so much over its semantic or representational component, which depends fundamentally on its mathematico-syntactical basis, but rather in the consistency of its theoretical construction. For example, the latest approaches to quantum mechanics have been around reconstructing its syntactical assumptions in order to render it more systematic (with probability, for example: https://www.quantamagazine.org/quantum-theory-rebuilt-from-simple-physical-principles-20170830/; https://arxiv.org/pdf/quant-ph/0101012.pdf). Basically, quantum mechanics as we know it today might be the product of a bunch of isolated “inisghts” that had no syntactical systematicity, from which it’s apparent incompleteness arises. I think it’s no surprise that the most successful enterprises in this regard are coming from mathematics. Now, to sum up, while it is clear that the wonder of physics comes from the way it already dispenses the intentional noocentrism to discover structures far beyond our reach, I think this is due precisely to the fact it relies on a specifically theoretical apparatus that dispenses with heuristics. In this sense, the reason why I’m not so happy about the biological interpretation of the quantum “breach” is that it denaturalizes a problem that extends far beyond our shallow ecology. The debate over frame and constitutional meta-cognition is in a sense happening in physics, but it relates to a domain outside our biological scope; and the fact is that I think this is precisely the reason why this debate can in itself take place: if it wasn’t because it gets rid of heuristics from the outset it wouldn’t be possible to posit the problem of its syntactical completeness as overdetermining its semantics. Quantum physics does indeed offer a “new rationality”, but I think the issue about it is not so much wether it should or not be accepted as a crash space in itself, but wether it is consistent with what has already been a crash space (the physico-mathematical science), in which theories like general relativity also participate. Only with this background, I think, it is possible to consistently commit to the idea that physics need not understand itself to operate. I think you do a good job here calling attention to the granularity of the picture I offer. To be clear, I’m not trying to say ‘What QM is,’ so much as, ‘If QM is this, our cognitive biology suggests this.’ If it turns out phenomenalistic interpretations carry the day, that the quantum is some larger classical domain glimpsed darkly, then the irrelevance of cognitive biology is reaffirmed. But if it turns out that the quantum consists in “a bunch of isolated “insights” that had no syntactical systematicity, from which it’s apparent incompleteness arises” then our cognitive biology becomes relevant again. Regarding GR, when I say ‘irrelevant up to the extremes’ I mean physical extremes: there’s no question the mathematics takes over once our intuitions begin to fail us. Just think, the ‘now’ on distant planets lies in our past or future! The missing part of my account, I realize, is mathematics, which I think is way, way too ergonomic to be anything but human, and therefore ecological in some sense. It’s power to systematically anchor human cognition to ecology (across scales) derives from the internal absence (not external transcendence) of ecology, the way it does away with the need for prediction. It’s a ‘determinacy box,’ a way to package and deploy certain outcomes, which we then gerrymander in countless ways for countless applications. The more we use it to index nature, the further out (and in) it takes us, the more it crashes our ancestral cognitive capacities. I don’t see mathematics as any exemplary ‘ur’ or ‘original’ crash space so much as one tool among many, which, having become so bogglingly powerful, plays a fundamental role in crashing those many. The real problem for me, here, is the indispensability argument: I owe some account of the apparent semantics of mathematics, which argues so forcefully for the explanatory power of ghosts. Metacognitive neglect gives me the tools I need I think. the math is probably the stickier wicket in this, tho I’m a pragmatist and believe that maths are made not found, in that mode I’m not sure what physics really loses in yer account, or more properly what physicists can’t do? Are you familiar with Omega (or Chaitin’s constant), Dirk? are you emphasizing the construction side of computing? Omega (and halting, etc) is precisely what we should expect were math a kind of systematicity heuristic. This suggests that physics, even understood as formalism, has profound ecological limits, doesn’t it? not sure that you can equate math and comp-sci , above my paygrade if you will, and not sure what “profound” means here? If ecological limits means (as I would say) serves human needs/interests, manufactured/assembled by us than sure but I think as with cognition/reflexivity that you may see a cliff to fall off of that I don’t. Church-Turing has got to be more than simply an astounding coincidence. “serves human needs/interests” is the cliff, you realize. As soon as morphology becomes tractable to behaviour, the machinery we’re now using to spitball these issues all but certainly stumbles off an applicability precipice. The descendants of mathematics will live on. certainly has limits just not sure they are very damning, yeah ‘pure’ maths seem to be off on their own abstract plane, labels/marketing aside not sure there is computer or information “science” apart from engineering. In reality nothing is “out there” but it is all already inside of our biology which nature has evolved as a system of hacks so Tegmark’s mathematical universe is something we hack with the mathematics and observation already inside of us. Math only gives us the understanding because it secures the intuitions which we all nod to until someone finds the math error or the odd observation which crashes it all. In the meantime we can build toys like nuclear bombs that can pollute an atmosphere but hardly blow up a planet. The quantum world is simply the rule and not the exception of things like planets with atmospheres and biology which evolves higher organisms that perform predictable behavior. I only buy it in the sense why everything out there appears to be mathematics. Our own biology which is built from the same physical stuff and laws makes the math which we overlay on the mirror which we call mind that sees the universe. What does any intentionality look like? So you’re saying Tegmark doesn’t have a bloody clue. Or Poincare, or anyone sensitive to the second-order inscrutability of mathematics. For mind body symmetry the voluntary muscles are controlled via the motor neurons which symmetrically split below in the spinal cord. Likewise the sensory neurons flow symmetrically up from the body into the sensory cortex directly behind the motor cortex. So we have a balanced left-right (odd-even) split of the neurons in the motor and sensory cortices which also form four quadrants. Plenty of built in symmetry for the PFC to observe back on. Speaking of the PFC one of my favorite songs where she tells three stories about the development of her PFC; the house fire, a trip to the circus at age twelve and the gaze of two teenagers in love. Peggy Lee’s ode to shallow cognitive ecologies! Interesting Sam Harris podcast with Sean Carroll. Discussion begins at 11 minutes but around 35 minutes Sean explains why physicists blindly accept the mathematical interpretation. “This raises the spectre that human cognition is constitutionally incapable of unifying general relativity and quantum mechanics” <— This could be the case but I doubt it, I think it's more a case of the mathematical space not being mapped out. "Omega (and halting, etc) is precisely what we should expect were math a kind of systematicity heuristic." Why should this be the case though? I'm not saying math isn't constructed, but why should any indeterminacy automatically indicate a heuristic? Could it not just be a fundamental feature of the system. Also, I can recommend any talk by Nima Arkani Hamed on this subject, he gives a slightly deeper insight as to what’s actually going on in theoretical physics than what we laymen usually get! ‘Heuristic,’ for me, means (among other things) ‘limited application’ relative to some ‘problem.’ Indeterminacy indicates a limit of application. Saying mathematics can’t solve every problem is trivial I think. But saying that there exist ‘nature of’ problems (such as a TOE) that outrun mathematics’ limits of application is quite interesting. That said, you could be entirely right. Is the question one of naturalising maths? In contrast, if someone is instead performing the task of braiding grasses together to form a cord they will refer to the task certainly – but as to why there are grasses or hands/a universe that exists for these things to exist in it, they might shrug or say they don’t know. There’s no certainty on that matter. But with mathematics, it’s taken as something that is there – like the grasses are there, but it is also basically not of the world? Or even the extreme reverse of that with Tegmark’s idea, where it is the world itself? I feel I might be being uncharitably estimating how mathamaticians perceive math. But if how they take math as indeed different from working with grasses (ie, they do not A: feel like they work with some material that B: they cannot explain the origin of), then perhaps mathematics is actually fairly superstitious? It just happened to be the rain dance that actually paid off, though there was still correlation rather than causation involved. Math Shamans? Is mathematical cognition qualitatively different from other kinds of cognition? And is mathematics as a body of knowledge different from mathematics as a cognitive activity? If mathematics is a style of cognition and a body of knowledge produced by cognizing in that style there is no basis for thinking mathematics exists independently of the beings who cognize in that style. While I’m waiting for The No-God I’m re-reading the Malazan Book of the Fallen. One theme that runs through it is the idea of chaos as inimical to the existence of life. This leads me to wonder two things, whether a genuinely chaotic universe is possible in principle and whether living beings could exist in such a universe. If the answer to either of these questions is ‘no’ then the order that human beings perceive in the universe and analyze using mathematical cognition is the order that has to exist in order for beings to exist. One could say a sort of anthropic principle applies. Living beings can only come to exist in universes sufficiently orderly for mathematical cognition to ‘work’ in the way that it does in this universe. If by chaotic I meant entropic then yes, a maximally entropic universe can exist in principle but the nature of such a universe is such that nothing can happen in it, so life can’t exist. While the task of making cords out of grasses is clearly naturalistic enough, the task of working math involves working something that cannot be seen. It’s not surprising it blurs into souldom, in a way. But really in a chaotic universe could birds fly? Maybe not – the principles of aerodynamics wouldn’t be there to support it. Maybe maths is to us as flying is to birds – they just think it’s a thing they do, when really what is involved is a physics principle. My own intuition is there are no other numbers than one. There is nothing else, anything else is just a figment of parochialism.